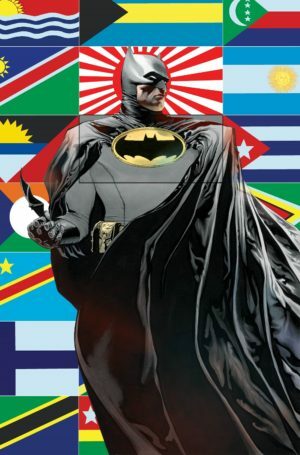 This page tells you everything you need to know and buy to read Grant Morrison’s Batman opus from 2006 to 2013. It includes every issue in comprehensive trade reading order, listing all of the formats in which each issue has been published. Batman has had several epic single-author runs in his modern history, from the likes of Denny O’Neil, Doug Moench, Chuck Dixon, Greg Rucka, Ed Brubaker, Scott Snyder, and more! What makes Grant Morrison’s run any different or more notable? It’s a question of history and of scope. 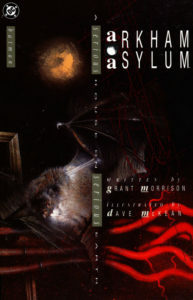 Grant Morrison’s run is predicated on a knowledge and reference to past Batman stories, including some Pre-Crisis stories that had been in continuity limbo for several years. Also, no single author had previously had a Batman run of this scope – running across three titles and seven years and intersecting with one of DC’s biggest events along the way. Plus, there’s the x-factor of Morrison himself. He is a psychedelic comic author as likely to mine continuity for details that deserve fresh exploitation as he is to take characters on inexplicable journeys with some of the steps missing or out of order. Like him or not, Grant Morrison’s arrival on a superhero title almost always makes for appointment comics. Pairing him with the most-popular comic book hero in the world was a lightning-in-a-bottle moment for DC. Absolute Edition: Ultra-oversized, slipcased editions meant for a refined bookshelf and reading in the home. Deluxe Hardcover: These hardcovers are taller than standard collection and high quality, but still portable. Standard Size: These are the standard-sized collections that were most-readily available upon initial release. Part 1 includes some additional deluxe formats. I have omitted collections that only include partial runs. For the full collection information about each set of issues, see the individual pages for Batman, Detective Comics, and Batman and Robin. 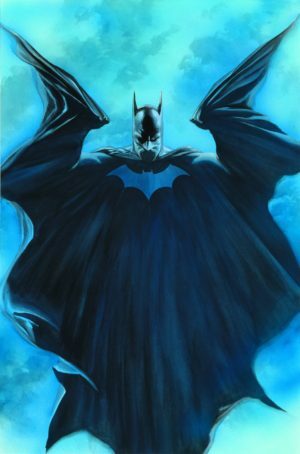 Grant Morrison’s run is predicated on his embracing some of Batman’s pre-Crisis history as canonical – or, at least, as being a hyper-exaggerated take on canonical tales. While Morrison never comes out and says, “based on story XYZ, Batman knows / believes / acts / feels a certain way,” there are many winking references and resurrected concepts from these Golden and Silver Age stories. Morrison helpfully provided his own cheat-sheet on these tales in a collected called The Black Casebook. This is inessential reading by all accounts, but if you have a more academic interest in Morrison’s run you should start. Collects stories from Batman (1940) #65, 86, 112-113, 134, 156, & 162, Detective Comics (1937) #215, 235, 247, & 267, and World’s Finest Comics (1941) #89. Next, there’s the Talia al Ghul material. Though she isn’t a recurring character throughout Morrison’s run, Morrison draws on her history with Batman to cast his new Robin in a surprisingly believable retcon . For an essentials read of Talia, try her first two appearances in Detective Comics #411 and Batman #232, an initial wedding to Batman in DC Special Series #15, and – most significantly – the story that allowed Morrison to create Robin in Son of the Demon OGN (1987). 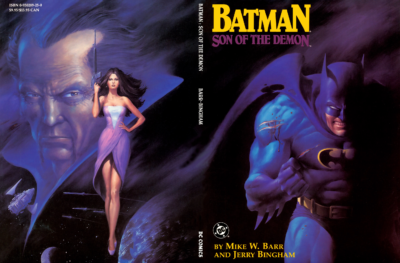 Also reprinted in Batman: Birth of the Demon (2012) along with the Birth of the Demon and Bride of the Demon OGNs. 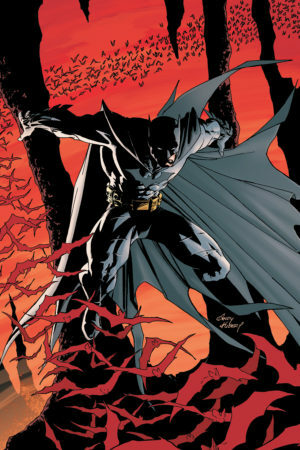 Morrison had only written Batman twice before this landmark run, and both prior stories have also achieved legendary status in the nearly 30 years since their release. While they are generally unrelated to this 2006-2013 run, if you’re settling in for 7 years worth of comics reading there’s no harm in adding two more stories to the start. Morrison’s landmark exploration of the psyche of Batman’s villains cemented Arkham in comic reader’s consciousness. This has been reprinted many times over – I suggest picking up either the 15th Anniversary (deluxe hardcover) or the 25th Anniversary (deluxe hardcover / paperback) editions. 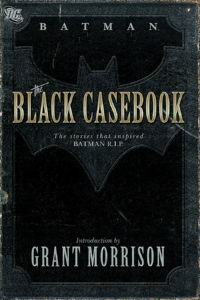 Morrison penned the second arc on this direct market Bat-book that created specific for high-profile creators to write short runs that fit anywhere in continuity. Available in deluxe hardcover, 2007 paperback, and original 1992 paperback. Finally, you can read a more traditional prologue in two issues of the weekly series 52 (2006), of which Morrison was one of a cast of rotating writers. Morrison provides some ticklers for his run in issues #30 (in Volume 3) and #47 (in Volume 4). The entirety of 52 is collected in the 52 Omnibus hardcover. The first portion of Grant Morrison’s run encompasses Batman (1940) #655-658 & 663-683 and Final Crisis #1-7. The proper reading order placement of #682-683 is between Final Crisis #5-6. 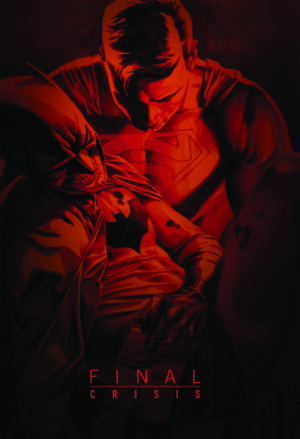 It’s not necessary to read all of Final Crisis to understand Batman’s story. However, Final Crisis is entirely written by Morrison and there is one absolutely critical Batman scene in #6 which is not duplicated in any Batman issue. The ramifications of that scene effectively ends Part 1 of Morrison’s epic and launches Part 2. (There’s also a minor Batman tease in the epilogue to FC #7). 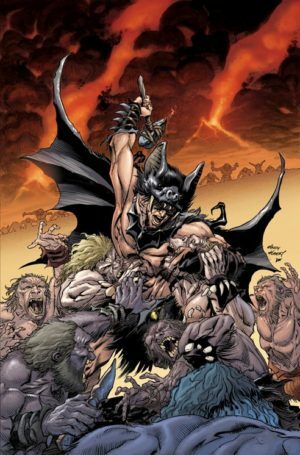 Detective Comics #659-662 are a John Ostrander story titled “Grotesque,” which is not connected to Morrison’s epic and are not collected. Detective Comics #670-671 are a crossover in which Morrison pens a chapter but which is not generally considered to be required reading as part of his run, despite being topical. #670-671: Not collected in this format. Not essential to your Morrison read. Final Crisis #1-7: Not collected in this format. You should make sure to read issue #6! Also collects DC Universe (2008) #0, which is a prelude to this story. If you read nothing else of Final Crisis, at least skim #6! Part 2 is split into two pieces. Part 2A, Batman & Robin #1-16, can easily be read from front to back with an epilogue in the form of Batman: The Return. It’s Part 2B – from Batman #700-702 and The Return of Bruce Wayne #1-6 – that’s slightly more tricky. The Return of Bruce Wayne #1-6 culminates in a panel of Batman and Robin #15, so to read Return first would be a spoiler of the big reveal. If you’re not a fan of Morrison’s more esoteric work you could skip 2B entirely and move on to Part 3 without missing a beat (aside from wondering what Bruce had been up to). You can take any one of the following four approaches to reading Part 2 – each is valid and has its own pros and cons. Read 2B early. Read all of Part 2B directly after Part 1 to follow Bruce’s story. Con: Wasn’t actually available to read in this sequence at the time; spoils the tension in B&R. Split 2B up. Read Batman #700-702 after Batman #683/Final Crisis, but save Return of Bruce Wayne #1-6 until after B&R #12 – reading it all at once or alternating it per the “adjusted order” in the next section. Pro: Fits the Batman issues chronologically but maintains some suspense in your B&R read. Con: Wasn’t actually available to read in this sequence at the time; Still spoils the final B&R arc. Recommended: Read in slightly adjusted order of release. Read Batman #700-702 directly after B&R #12 and then alternate Return of Bruce Wayne with B&R as follows: RoBW1, B&R 12, RoBW 2, B&R 13, RoBW 14, B&R 14, RoBW 5, B&R 15, RoBW 6, B&R 16. Pro: This is close to how readers experienced it at the time of release. It builds some tension and mystery throughout your read. Con: Lots of flipping back and forth, which is annoying if you’re reading in collected editions. Pro: No spoiling – you get to go back and enjoy the whole mystery in one big chunk. Con: Nine issues is a long break between B&R #15-16 – your interest might flag. After the mysterious and somewhat shocking climax of Morrison’s first act, his second is split between a straight-up superhero story with many chuckles (that’s this part!) and a typically labyrinthine Morrison opus (that’s 2B). Part 2A works perfectly as its own story without any supporting elements. Note that this series continues for issues #17-26, but they are not written by Morrison. This book is not by Grant Morrison, but by his R.I.P. artist Tony Daniel. It directly proceeds Batman & Robin #1 and explains Batman’s status quo at the beginning of the title. Collects Batman: Battle for the Cowl (2009) #1-3 with Gotham Gazette (2009) #1 and Gotham Gazette: Batman Alive? (2009) #1. 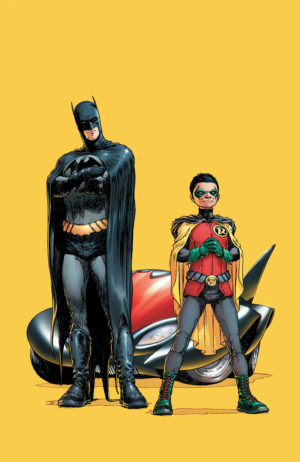 #13-16 & Batman: The Return: Batman & Robin, Vol. 3: Batman & Robin Must Die! While a new Batman wore the cowl and became Damian’s guardian in Batman & Robin, there was the little matter of Bruce Wayne. Spoiler: Did he really die in a fight that was far above his typical weight class by facing down Darkseid in Final Crisis? 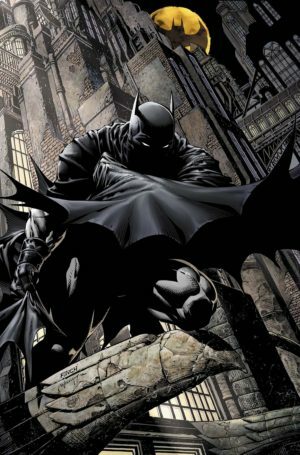 There is some dispute as to where you should read Batman #700-702 and The Return of Bruce Wayne #1-6. Though they occur chronologically prior Batman & Robin run, these runs were released beginning at Batman & Robin #12. To read them earlier would be correct in a chronological sense, but will spoil some of the tension in that story. Not collected in this format. Also collects Batman #703, not by Morrison but fine to include in your read. Batman: The Return – Collected with Batman & Robin, above. The third act of Morrison’s run on Batman has a greatly expanded scope and cast, as Batman decides to franchise his crime-fighting across the globe even as a vast conspiracy begins to close in around him. Morrison’s endgame for Batman was slightly disrupted by Flashpoint and the advent of DC New 52. His 2011 title Batman Incorporated ended early with #8 in August 2011 due to the interruption of Flashpoint. It was later capped by a double-length one-shot called Leviathan Strikes that effectively rolled up the intended final issues of his arc into one. Then, midway through 2012, Batman Incorporated relaunched and charged through 15 issues in 14 months to complete Morrison’s opus. It ends just after the end of the “Death of the Family” story in all of the New 52 Bat-books. Collects this entire period in a single hardcover – Batman, Incorporated #1-8, Batman, Incorporated Leviathan Strikes #1, Batman, Incorporated Vol. 2 #1-13, and Batman, Incorporated Special #1.